I spent one Sunday on the Internet for a specific purpose to find stylish watches, I found this e-shop - http://www.mojehodinky.sk/. I have to admit that they have a large supply of watches, the best. 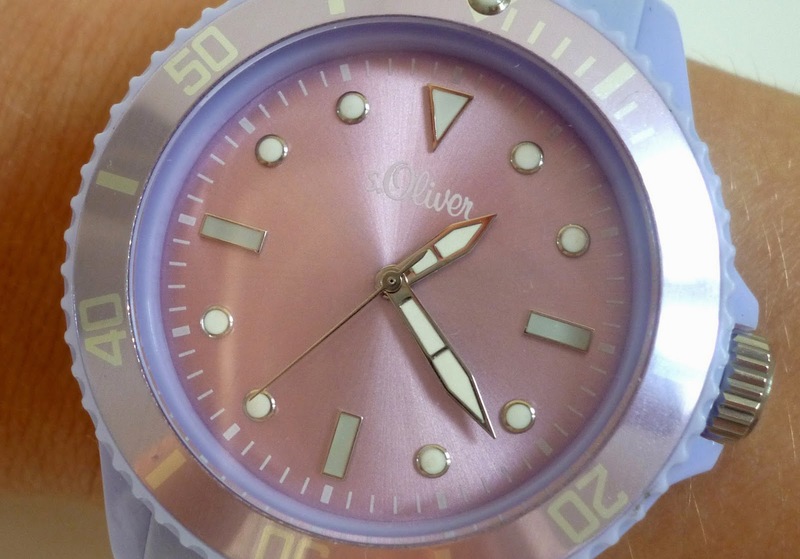 More than 2000 watches in different colors and brands like Guess, s.Oliver, Tissot, Festina, Storm and many more, the price ranges from € 30 with, free shipping and all that at one place. Note the section of white watches. This is a clear "must have" for the upcoming winter. Plastic. With leather strap. Made of surgical steel. With Swarovski stones. An Axcent of Scandinavia you cannot resist. Pri jednom víkendovom lúskaní internetu za konkrétnym účelom nájsť štýlové hodinky, som našla tento e-shop – http://www.mojehodinky.sk/. Musím uznať, že svojou veľkou ponukou hodiniek, ten najlepší. Viac než 2000 hodiniek, rôznych farieb a značiek ako Guess, s.Oliver, Tissot, Festina, Storm a veľa veľa ďalších, v cenových reláciách od 30eur s dopravou zdarma a na jednom mieste. Všimnite si sekciu bielych hodiniek. To je jasný “must have” pre nastávajúcu zimu. Plastové. S koženým remienkom. Z chirurgickej ocele. S kamienkami Swarovski. Napríklad takému Axcentu of Scandinavia sa nedá odolať. really beautiful and stylish watch! I love the color and the design! like shoes... I can't get enough of them. I'll check out this site soon. Super nice watch Ema ! Great find ! really great choice!love the colour. ps. Thanks for visit my blog! OMG this watch is so beautiful! I absolutely love it! Thank you for sharing the shop! I am so sorry for the delay and thank you so much for your comment on my blog<3 Hope you stop by again, thanks again! thanks for dropping by our blog, would you like to follow each other? I like this swatch :). love the pink face on the watch! Its a very cute sporty chic watch! Thanks for info on the site - free shipping and good prices? great! I will have a look at that site cause I'm looking for a gold watch! I like the watch, it's cool! Love your nail color and the first watch! That is so pretty.I love the color!